It’s weird to type the words “home stretch” without having my mind wander to how the the Raptors are doing in the NBA playoffs. To stick with illustrations involving my hometown’s professional sports team it doesn’t matter if the Raps beat the Miami Heat tonight, tying things up 1-1, since the goal is actually [and I’ll admit, implausibly] winning the entire thing. In a similar fashion it doesn’t actually matter if 2 Broke Girls delivered a spectacular episode or crashed and burned comedically [as per usual, it landed somewhere in the middle] since it’s the season finale that will [or won’t] draw audiences back this fall. The last “big” guest star I can remember 2 Broke Girls featuring was Grammy-nominated rapper 2 Chainz in what was hands-down the worst episode of the show I can remember reviewing. Similar to that last instance network synergy is what brings the Victoria’s Secret Angels to the sitcom, with The Victoria’s Secret Fashion Show airing tomorrow night on CBS. The creative push behind this particular twenty-some minutes of television finds its source not in the writers’ room but in a boardroom, and the results are far from stellar. 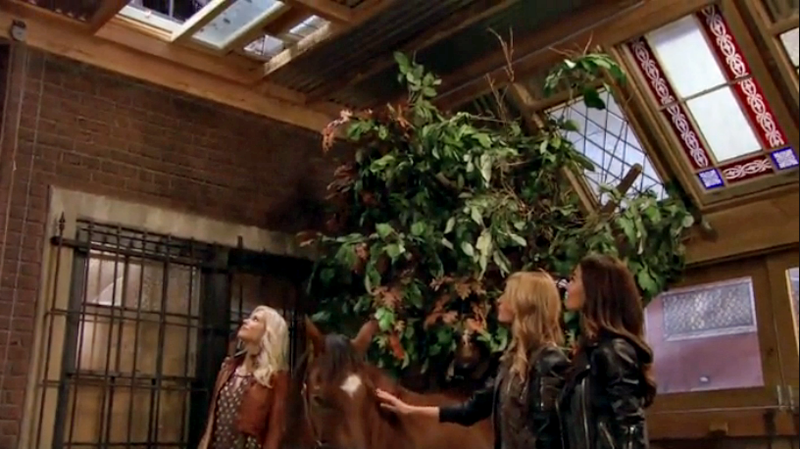 constantly making note of how tragically poor they are while residing in an enormous apartment that has, revealed in this episode, a literal barn attached to it complete with sunroof. WHAT IS THIS WHAT IS GOING ON. 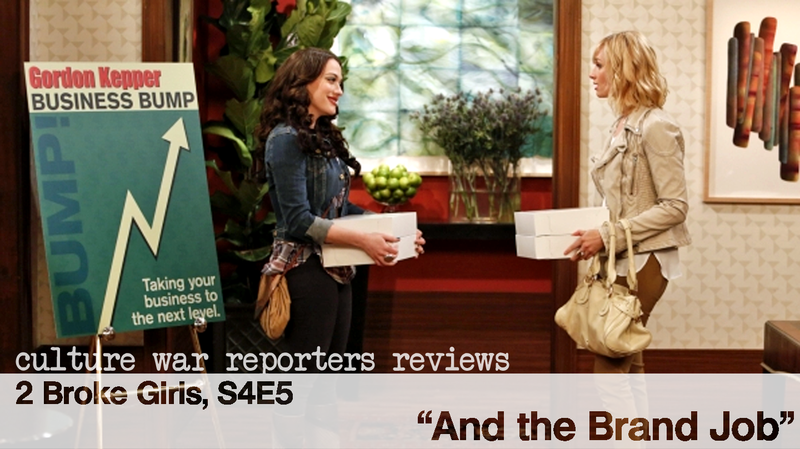 Consider the placard in the image above to be fairly representative of my views of this episode: things are looking up for 2 Broke Girls. No, this episode didn’t feature Han gloating over his ability to both ride a bicycle and maintain an erection [no easy feat], but it did bring the focus of the show back to what it ostensibly should be. That’s right, we’re finally back to watching Max and Caroline try their darndest to make some money. That’s always been one of my favourite things about the show, because, well, the struggle is real. Now granted, I say that as someone who had free room and board at his grandfather’s while he spent months unemployed, but I bought gluten-free pasta recently because it was on sale for cheap and that stuff is not good. My personal financial state aside, the journey of two young women doing their best is a compelling one, plain and simple. – right after making a joke about teen pregnancy, and you’d be half right.